Prineta knows POS systems and has experience programing payment interfaces certified on the TSYS, Global, and First Data platforms. In the process of upgrading your Comdata hardware and software and need an approved First Data BuyPass merchant account for Comdata processing? We can help. We are First Data BuyPass Independent Sale Agents that specialize in Comdata merchant services and payment solutions on for truck stops. Looking for an experienced POS credit card terminal application software developer for a new payment system development project? Need help implementing EMV or PCI 3.0 for Level 1 or 2 merchants? We can help. As a full service payment consulting company we offer development services for a diverse client base. 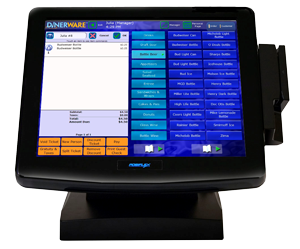 We can help you implement your custom POS or transaction processing requirements with a custom solution to fit your specific needs. We are very experienced and known in the industry for “PCI out of scope” solutions for multimedia payment terminals. Our experienced project managers, system integration engineers and developers can support the entire project lifecycle, from concept to implementation and deployment; end-to-end. You own the source code and intellectual property; we do the development “contract for hire”. 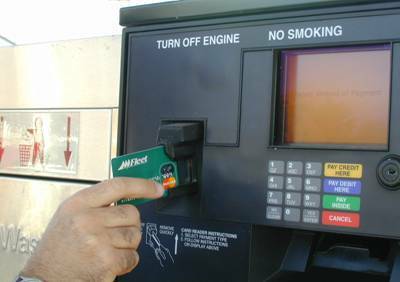 We set-up petroleum merchants to accept credit, debit, and fleet cards at the pump. Own a non-branded independent gas station and looking for a company that can help you reprogram the existing Ruby Sapphire system and set up a wholesale interchange plus merchant account so you can begin accepting pay-at-the-pump payments 24 hours a day? We can help. We specialize in helping independent gas station owners get set up with integrated c-store retail and petroleum pay-at-the-pump merchant services. Looking for a merchant account that supports the Verifone Ruby pay-at-the pump and in-store register point-of-sale systems for your gas station? You’ve come to the right place. Prineta is an independent merchant services agent representing the BuyPass (Atlanta) platform, the recognized leader in full service pay-at-the-pump services for independent unbranded petroleum retailers. Whether you need a new account or need to switch processors for any reason, we can help. We know pay-at-the-pump controllers and can make switching seamless and hassle free. In the petroleum industry, experience and access to right platforms is critical. Looking for a magic device that will allow you to accept credit cards through your electronic cash register (ECR) and remotely manage multiple locations? Heard of this mythical router-based payment management system for ECRs? Is PC Charge PCI 2.0 Compliant? We want to know. Is PC Charge PCI 2.0 complaint? We cannot find anything on the internet about it. PCI 2.0 with hardware encryption went into effect in January 2011. We know that PC Charge 5.8.3 and higher is PCI DSS v1.2 2008 compliant but we cannot find proof of 2.0 compliance. If you know, please leave a non-spam comment.